There is no better place to take a boat tour than in Cancun's cristaline waters. Either if you want to drive your own boat or just take a boat trip, we've got it for you. Lobster dinner boats, Booze cruises, sailing tours, fishing tours, sunset boat tours, speed boat tours, private catamarans, snorkeling, we have them all. Take a look on our selection to pick the best for you and have an incredible experience on your vacation in Cancuns. 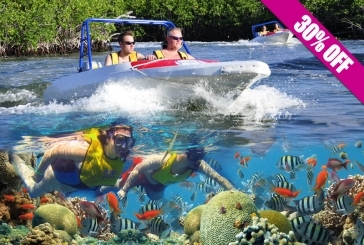 Jungle Boat Tour Cancun is one of the most wanted boat tours in town. 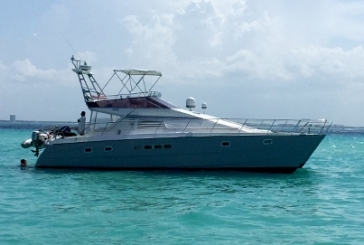 Drive your speed boat over Cancun's blue sea (15 miles) and enjoy snorkeling during the same tour. Enjoy 2 activities in this half day Cancun tour. Boats for 2 or 4 people make this tour suitable for couples and families. We have the longest jungle tour available, get all details inside and book now! 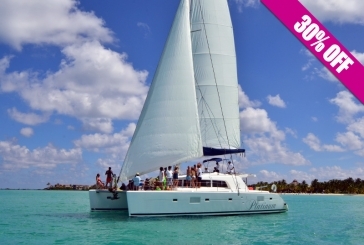 Catamaran to Isla Mujeres saling tour is the most popular boat tour in Cancun. Enjoy this pleasant boat trip on the beautiful Caribbean waters. Breakfast, Drinks and Snorkeling included in your tour. 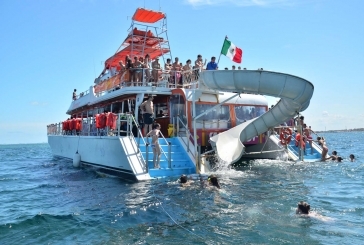 If you want to explore Isla Mujeres, this is the best way to do it. Click here to get all the information! Discover one of the best tours for couples in Cancún. Columbus Lobster Cruise offers you a great boat trip and a delicious dinner on a romantic atmosphere. Enjoy this sunset boat tour, get all the details inside. Dancer Cruise is the most complete Boat Tour in Cancun. Dancer boat trip includes different activities such as snorkeling, mayan ruins visit and salsa dancing lessons. All the information and details about this awesome Cancun Boat Tour inside! 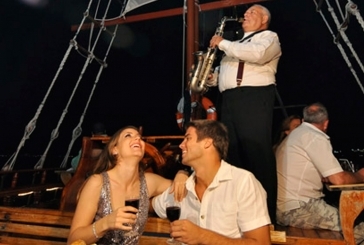 Jolly Roger's Pirate Dinner Show has become the best boat tour in Cancun. 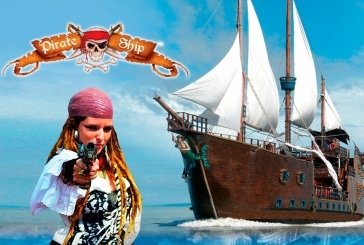 This boat trip is a great thing to do at night, delicious dinner, refreshing open bar, pirate show and contests guarantee you a great experience. Get all details and book here now!